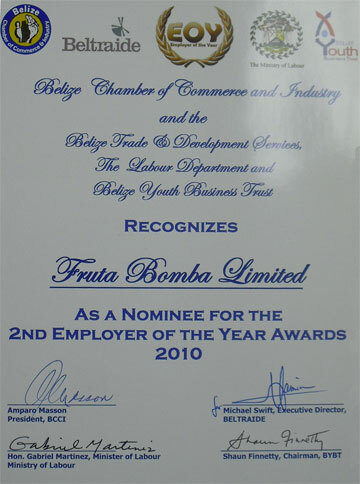 Beltraide, Belize Chamber of Commerce and Industry, The Belize Labor Department and the Belize Youth Business Trust choose Fruta Bomba as a nominee for Employer of the Year. 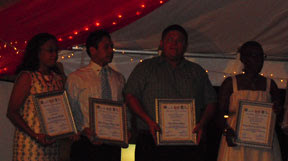 Accepting the award for Fruta Bomba was Ismael Gonzales. Congratulations Fruta Bomba!